…not so fast! 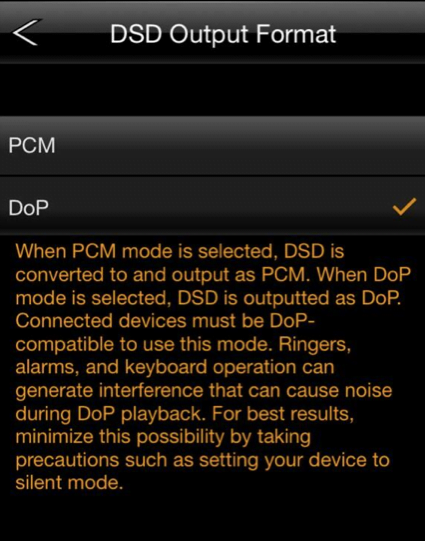 The Onkyo app sports an option for DoP DSD output. If you have a DoP-compliant DAC that can talk to an iPhone, you’re in native DSD business. With the Resonessence Labs Herus (CA$350) being able to a) extract digital audio via a Lightning connected iPhone 5/5S/5C and b) decode DSD over DoP, the Onkyo app paves the way for native, around-town DSD playback on yr iPhone. Great news for Shelby Lynne fans! The small print reveals the Onkyo HF Player app is optimised for iPhone 5. It’ll run on iOS 6 or iOS 7. More info can be found in the Onkyo press release here. SO glad you caught the Convert to PCM for playback part!! 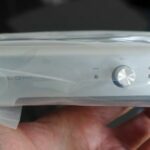 While you’re here – I don’t think all reviews of the Astell&Kern players are “glossed-over review-speak, a regurgitated press release, or a glorified sales brochure”. Mine certainly aren’t. Ditto John Atkinson’s at Stereophile. Sound&Vision’s was good. As was Srajan’s at 6Moons. Herus confirmed as working with CCK on iPhone 4 and with OTG cable on Samsung Galaxy S3. No dice though on a Google Nexus 5. Audio with a sampling rate exceeding 88.2 kHz output via the iPod touch/iPhone/iPad　headphone connection is downsampled to 44.1 kHz. Release notes of *what*, PP?